A mixture in which droplets of one liquid are suspended in another. A mixture in which droplets of one liquid are suspended in another. Oil and vinegar are immiscible, meaning they do not usually mix, but they can be whisked together so that the oil is finely dispersed throughout the vinegar. Mayonnaise is an emulsion of oil and either lemon juice or vinegar. Emulsifiers are substances that stabilise emulsions, preventing the liquids separating out again. Mayonnaise is stabilised by lecithin, a compound found in egg yolks. 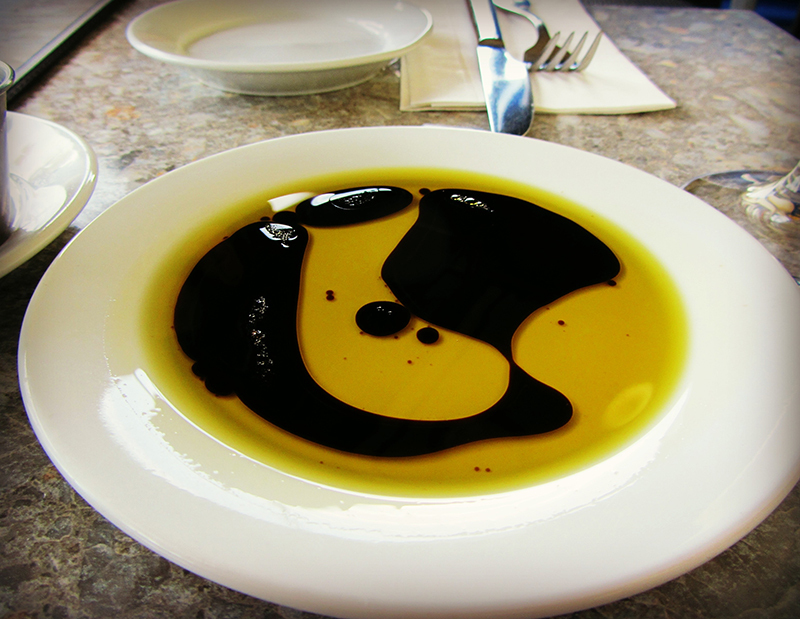 Oil and vinegar are immiscible, meaning they do not usually mix, but they can be whisked together so that the oil is finely dispersed throughout the vinegar. Mayonnaise is an emulsion of oil and either lemon juice or vinegar. Emulsifiers are substances that stabilise emulsions, preventing the liquids separating out again. Mayonnaise is stabilised by lecithin, a compound found in egg yolks.